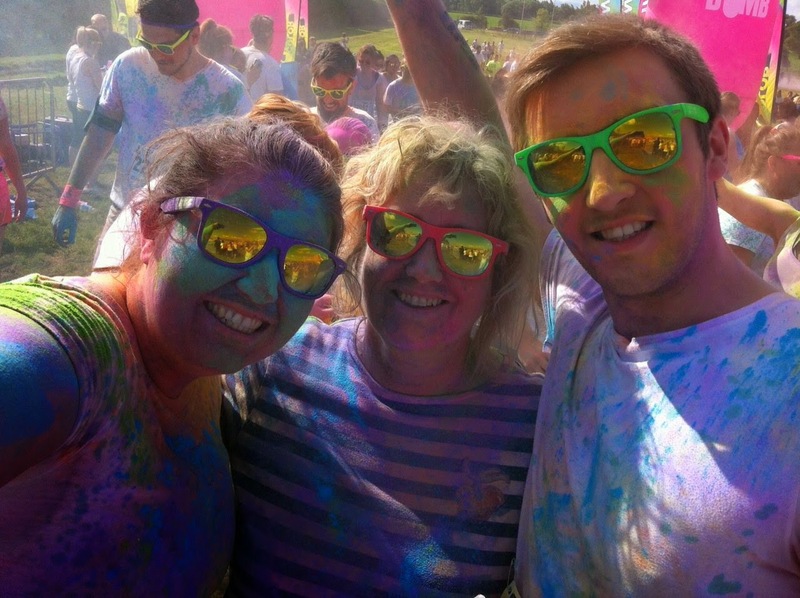 This weekend my family and I did a 5k Colour Run in Edinburgh. We had so much fun so I thought I would do a little blog post to show you some pictures and tell you a little bit about my experience. You might have seen a couple of pics on my Facebook and Instagram. 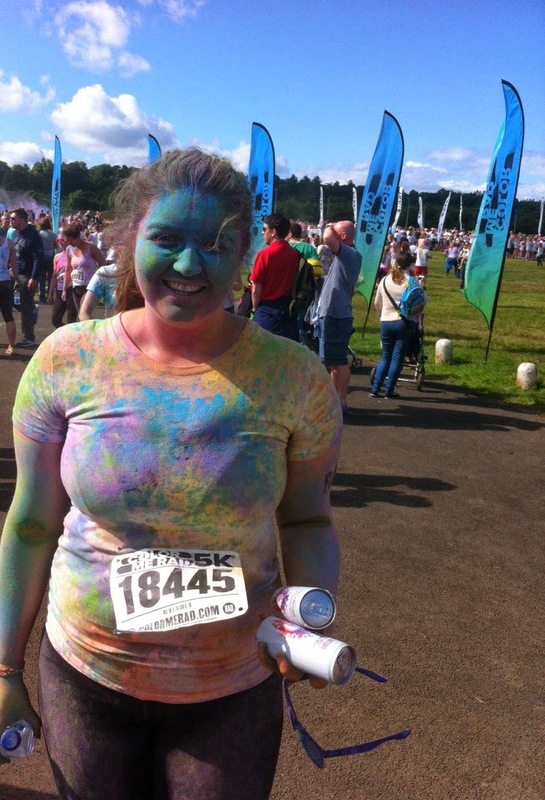 The Edinburgh race was held in the grounds of the Highland Show and you had a nice long loop to get around the race track and get covered in so many colours. It was our first 5k so we didn't run around at any great speed, especially since we were too busy trying to get some cool photos and get as covered as possible. So it's kind of a no pressure run, especially since it's not timed. Now on to the logistic side of things. The organisation and Colour Me Rad things. Well to be honest, it wasn't that great. 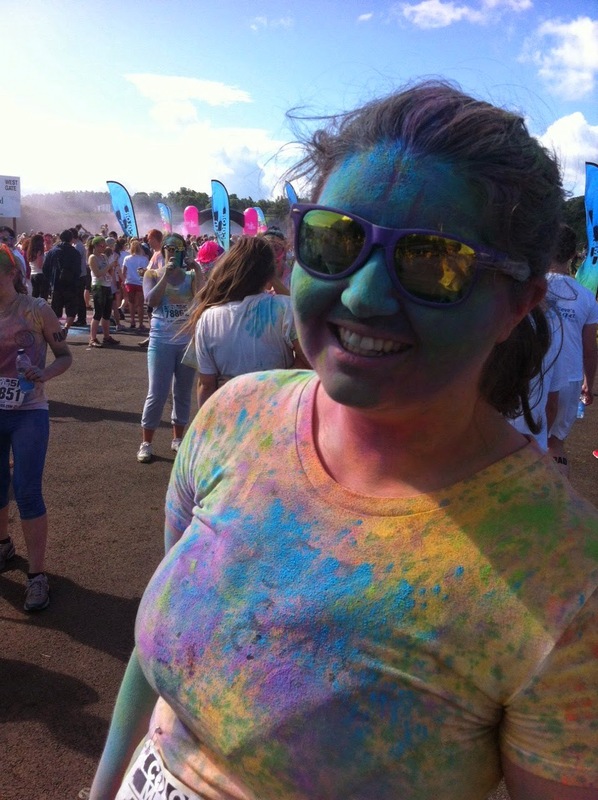 There was next to no communication from Colour Me Rad at all, their website is tricky to navigate to try and get anything changed or sorted. And it's pretty expensive, it seems cheap but then they screw you on booking fees and postage charges. The packs were supposed to come in plenty of time before the race but there was no sign of them until days before the race. Judging by their social media a lot of people were getting annoyed with this and were receiving less than satisfactory responses from their CS, so something to bear in mind. On race day itself we arrived at the event, which is several (eight) miles out of time so most people had to drive. Which is one of the reasons I kind of resented the £3 parking fee to park there. It wasn't like it was a location in town where everyone could walk from and I felt as though we already had paid quite a lot before then having to pay for parking. Then on top of that the parking situation was terrible. We were fine because we arrived at 8am, got parked and hyped (by an annoying man) and then ran in the first wave because we were there and not many others were running in it so we just joined in. 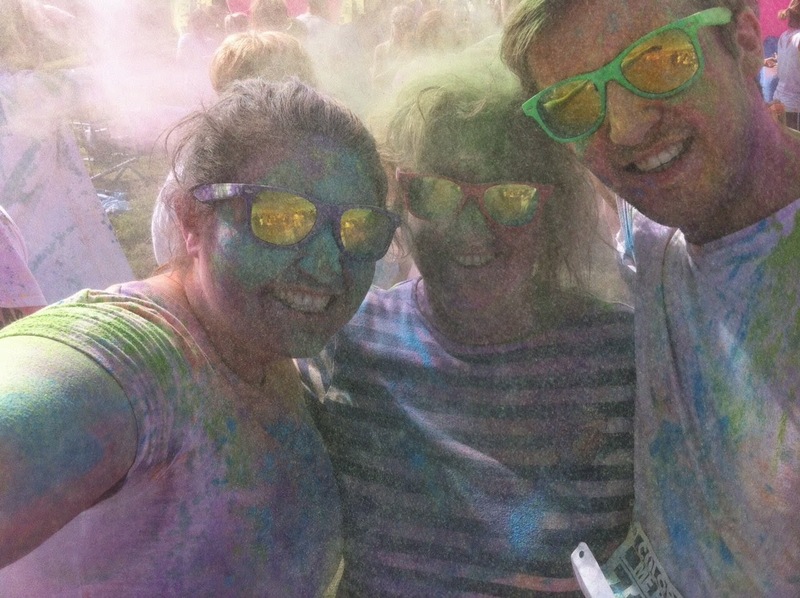 We had a great time and came out lovely an colourful. BUT by the time were leaving - about 10 am (remember towels and a spare set of clothes) the queues were terrible to try and get parked. They were snaked back for miles and miles and with no sign of moving so I feel really sorry for those people. So really get there early - super early. There was no capacity for these people to get into the grounds and by what I can gather none to get out either. So this would have been a real downer for anyone who was looking forward to doing the colour run on the nice sunny day we had. Inside we did have a blast and it was something really fun to do with my family. It is suitable for everyone - you had the keen beans out in front, those in the middle and lots and lots of kiddies. Some that were being carried so it is a family day out! We also raised £175 for our charity - the Applegarth Wildlife Sanctuary which we all love to get involved in. Especially Mum who is a trainee bird ringer with them! Thank you to everyone who donated! 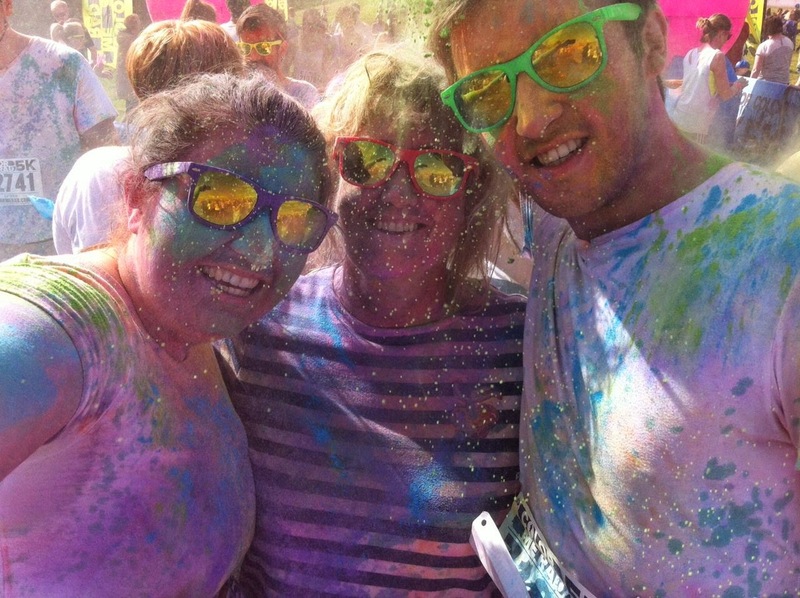 Has anyone else done a colour run, what did you think?